Since the introduction of Smartphones that spurred on the insane rise in mobile web surfing, Mobile first has been everyone's go-to buzzword, along with mobile responsive, mobile optimisation and of course mobile friendly. All great words to throw around in a meeting when you have nothing better to talk about our you're being pushed for answers on what tasks you're prioritising or busy with. While you have many ways to approach mobile optimisation, either AMP, mobile site, responsive design or dynamic serving. However, there is one variable that is a constant and that is page speed, if it doesn't load and renders slowly on a mobile device users are going to bounce and rankings are going to drop. So all this talk about page speed is great but the question everyone has been asking is, how fast is fast enough? 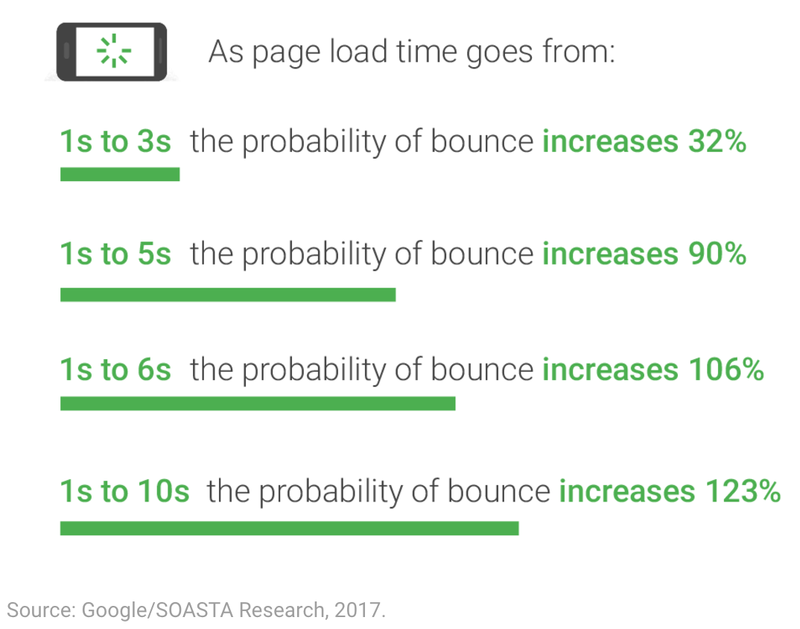 According to Google’s latest research, the time it takes to load the average mobile landing page is 22 seconds. However, research also indicates 53% of people will leave a mobile page if it takes longer than 3 seconds to load. Needless to say, the average loading time for mobile pages are not meeting users’ expectations and network providers particular in Africa be it 3G, LTE or WiFI aren't helping South African websites out much, so it's up to website owners to get lean and mean with their mobile optimisation. People want to read an article as soon as it’s clicked on. Shoppers will abandon their cart on an e-commerce site if the website is too slow. Customers expect to be able to quickly pay bills on banking sites. Vacationers want immediate results when looking for reviews — and so on, hence the popularity of native apps as a stop-gap solution (which I personally do not recommend). The reality is, as Google found out, 70% of pages take 7 seconds for the visual content above the fold to load. All visual content above and below the fold took 10 seconds to fully load. This is troubling stat because as page load time goes from 1 second to 7 seconds, the likelihood of a visitor abandoning the page increases 113% Speed doesn’t just affect page views, it affects, your traffic, your conversion rates and ultimately your revenue. Google’s latest data shows conversions are lower on mobile than they are on the desktop, despite the fact that over half of all web traffic comes from mobile devices. There are not many sites out there that provide a mobile experience that is on par with their desktop experience and it definitely shows in the numbers.